It is intended as a guide for content creators and Web developers who wish to create webpages pleasing to people and search robots. 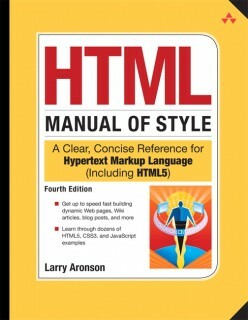 The book contains dozens of examples of HTML techniques to add style to any website. Plus, an entire chapter is devoted to using HTML on blog posts, eBay selling pages, Google Docs, Wikipedia articles and in email marketing. 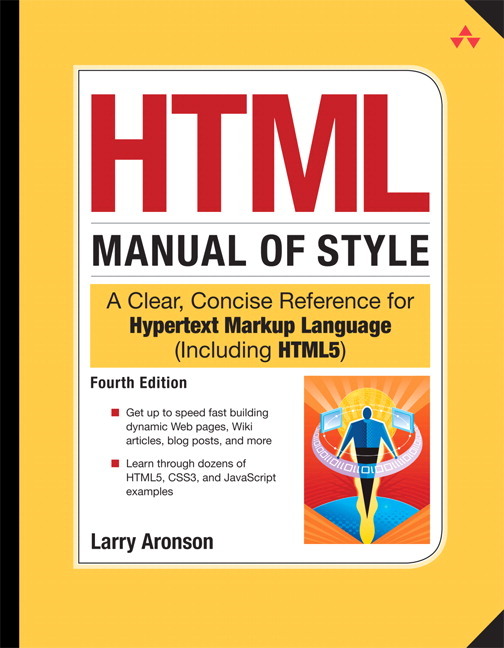 This edition, published by Addison-Wesley, is the fourth edition of HTML Manual of Style originally published by Ziff-Davis Press in 1994. Links to HTML Manual of Style pages on the Web. Amazon.com – get the Kindle Edition: $9.99! SoftPro Books – Yet another bookseller. Facebook page – a work in progress. Follow @HTML5pro on Twitter – My alter ego.